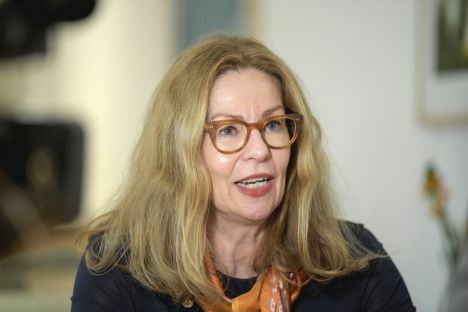 Swedbank’s board in Sweden has dismissed its president and CEO Birgitte Bonnesen increasing allegations of money laundering through its branches in the Baltic states. According to the decision published by the lender in a press release on Thursday, March 28, the bank’s board of directors has dismissed Birgitte Bonnesen as President and CEO of Swedbank and appointed current CFO Anders Karlsson as acting president and CEO. «The developments during the past days have created an enormous pressure for the bank. Therefore, the Board has decided to dismiss Birgitte Bonnesen from her position. With that said, Birgitte Bonnesen has during her three years as CEO made an important contribution by creating a leading digital bank with physical presence», Lars Idermark, the chair of the board commented. American media organisation Bloomberg reports that Sweden’s oldest lender is being investigated by the financial regulatory authorities of Sweden and Estonia, while the U.S. is also looking at the case. That follows allegations that the Swedbank was a conduit for some of the former Soviet Union’s most notorious strongmen, including deposed Ukraine President Viktor Yanukovych. Swedbank’s central office in Stockholm has been the target of a police raid on Wednesday, as part of a separate probe to find out whether it breached insider rules by giving its biggest investors advance notice of a February. 20 laundering report. Bloomberg reports that emerged that the bank was also being investigated for fraud. Swedbank’s management has said the bank was cooperating and communicating with the respective authorities.